It’s now more important than ever to consider the environment in town planning and building. Leading the way and getting it right from the start are these 5 buildings who use the latest and simplest of eco technologies to make a difference. Called the world’s greenest building and it’s also the smartest. For those that work in the building or are visiting there is an app that once downloaded will recognise your car when you arrive, find you a space to sit, there are no assigned desk spaces just open plan and hot desks, and adjust the light and temperature to your liking. Cool and perhaps a little creepy? Still, you can’t fault its use of green technology and British rating agency BREEAM, gave it the 98.4% sustainability score, which is the highest ever awarded. Efficient LED panels save power by sharing the cables with the internet data. Mesh panels between each floor creates a natural ventilation that escapes through the raised roof. The roof and southern wall are solar panelled and as a result The ​Edge uses ​7​0 percent less electricity than ​the typical office building​. This beautiful building in London’s East end contains an exhibition on the very thing it does best, sustainability. 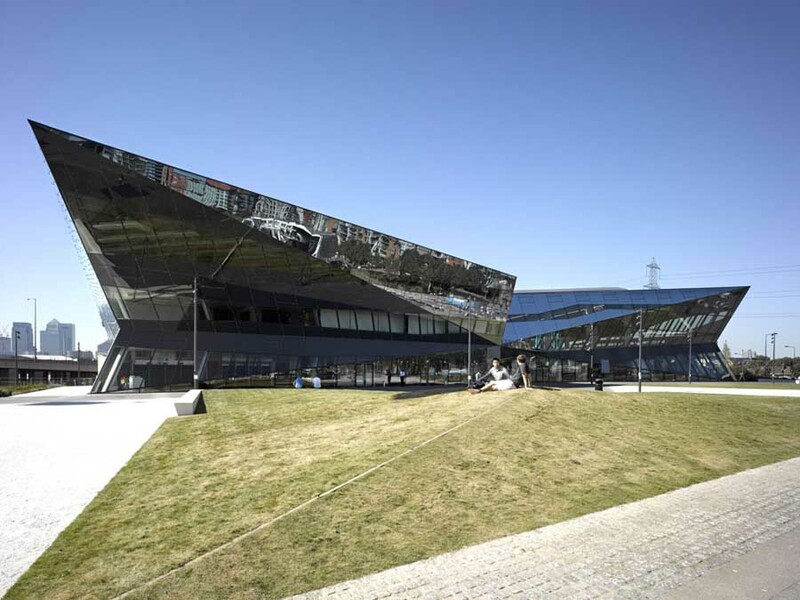 Owned by Siemens, the building generates its energy by using solar panels and ground source heat pumps. It was the first building to achieve the highest sustainable building awards from the world’s two leading accreditation bodies LEED and BREEAM. It runs completely on electricity and uses no fossil resources and its C02 emissions are 70% lower than a similar non-sustainable building. Australia’s first carbon neutral building scored a perfect 105 Greenstar points in 2011, the highest available at the time. Located in Melbourne, this office building ticks all the boxes including being capable of collecting all of its own water, generating its own energy and being completely self-sustaining. Its Avant Garde design is pretty cool too. This German building easily achieved LEED platinum status with its ecological and sustainable features. The architects focused on the building’s passive energy use, reducing its energy usage and increasing its ability to use renewable energy sources as its main supply. The internal heating system regulates the temperature inside the concrete walls, uses well water to cool in the summer and an inner courtyard floods the offices with light and a cross breeze. Its goal is to get energy consumption down to just 30 kilowatt hours per square meter per year, compared to the average of 100 to 150 kilowatt hours in a standard offices. This Tel Aviv University uses photovoltaic power and solar collectors to produce energy, waste water recycling, natural ventilation and bioclimatic design. This combined with its use of environmentally friendly building materials, made it the first building in Israel to achieved LEED platinum status. The eco education doesn’t stop there, as a University for environmental studies, it offers students the chance to study environmental factors in the Middle East and the importance of water and sustainability to the region.